What is an Emergency Medical Responder (EMR) license? Is it the same as an EMT or a Paramedic? Emergency medical responder, or first responder, is a generalized term that is often used to refer to individuals who are first on the scene of an emergency situation. But the term also refers to a specific Medical Responder certification level achieved through specific training programs that go beyond basic First Aid and CPR training. The EMR licensure training extends beyond First Aid and CPR certification, but is the least intense training and scope of practice among the four. Those with an EMR license typically assist when and where pre-hospital health professionals, such as Paramedics, are not available. Where Do I Get Information About Getting Licensed? The EMS training regulations and scope of practice is becoming more uniform nationally as a result of the NHSTA’s commitment to an EMS Agenda for the Future 1. But it is still important for anyone pursuing EMR licensure to check with the state specific EMS regulating agency for training and licensure requirements. Most states use training facilities that follow the National Emergency Medical Services Education Standards for the Emergency Medical Responders. But each state’s EMS regulating agency has the authority to establish state-specific training, licensure requirements and scopes of practice for their EMS personnel, including Emergency Medical Responders. For example, in California an EMR training course must meet the requirements of the California Code of Regulations, Title 22, Division 9, Chapter 1.5, passed all required tests and been certified by a California EMR certifying entity such as CalFire or the California Highway Patrol. Who usually pursues training as an EMR? 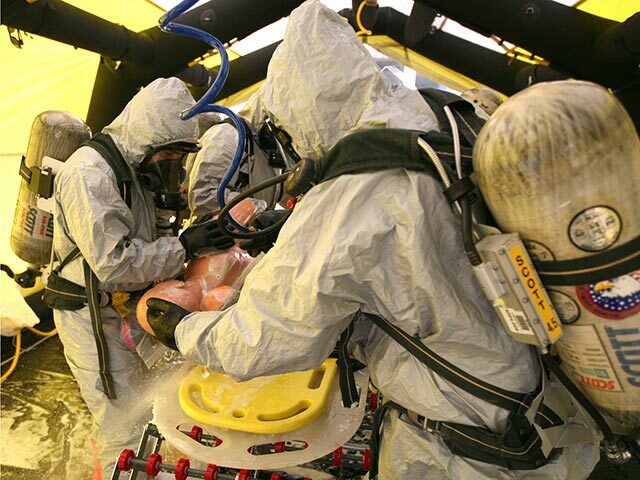 Emergency Medical Responder training is considered a bare minimum training level for emergency service workers 2. The EMR level of medical training is also often required for others who may need the expertise because of their proximity to dangerous situations involving public safety. The American Safety & Health Institute’s Emergency Medical Response (EMR) training program offered by the Beating Heart Center, for example, is designed for non-EMS responders who desire or require certification in Emergency Medical Response. Work categories might include government, corporate, industry, lifeguards, security personnel, law enforcement, corrections personnel, and other individuals who are not EMS professionals or healthcare providers. If you are a disaster relief volunteer or a staff member at a public park, you might find EMR licensure very beneficial. Someone who lives in a more rural area with a medically vulnerable family member could also be interested in Emergency Medical Responder training. Where Can I Get Emergency Medical Responder Training? The EMS Agency in your state should have a list of training centers that meet their specific requirements. The ASHI program is approved as an Emergency Medical Responder (formerly known as First Responder) Training program provider in Sacramento County by Sacramento County Emergency Medical Services (SCEMS) . SCEMS is under Primary Health Services within the Division of Health and Human Services and accredited through EMS services of California, Title 22. In order to receive certification, a student must pass the written exam and the performance evaluation. Adult, Child, and Ifnant Cardiac Arrest Management/AED. Call the Beating Heart Center at 619-796-2422 or check the Beating Heart Center class page for EMR training program course information.